You’re probably still looking for ways to stuff stockings. No worries; we’ve got you covered here at 3DPrinter. If you can’t quite afford a 3D printer to give to your loved one, you can at least give something that was 3D printed. On the Cubify Store you can buy a customized 3D printed guitar, but for that price you’d have your choice of several quality printers. Much like the Cubify Pics, the Mixee Me is affordable, but you don’t need a printer because your gift will come directly from Shapeways. 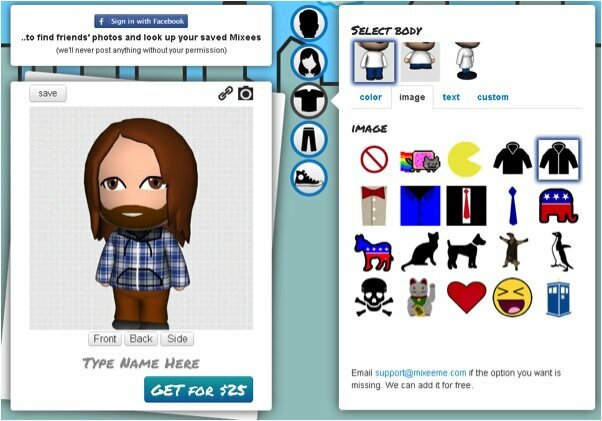 For $25 plus shipping ($6.50 for Americans) you can customize a mini avatar of yourself or anyone you know. Your Mixee Me will come in two to three inches of full color sandstone with a super glue coating to give it more strength and shine. The interface is very simple and the changeable features include eyes, mouth, hair, apparel, and body type, with a few others too. 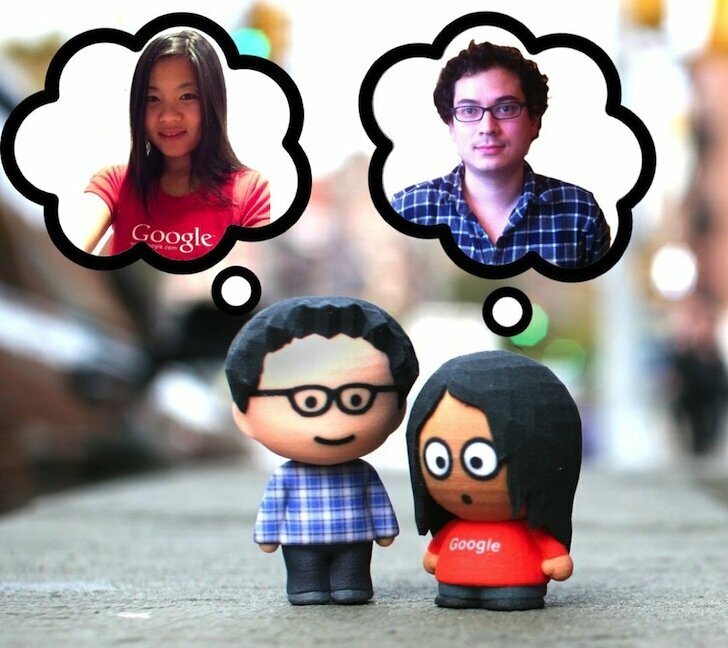 The options are limited but you can upload your own graphics for unlimited customization. As you can see on the one I did of myself, you’re also invited to ask that specific content be added. That actually looks a lot like me for using no custom graphics, though I do have a nose. Also this avatar would be perpetually standing, which is the complete opposite of me. Still, it’s a pretty affordable keepsake that’s very personalized. Crafty moms will surely make family set ornaments out of these. If you’d like yours to arrive in time for Christmas the site recommends ordering before December 11th.